Clara (Mason) and Robert Andrew Young. 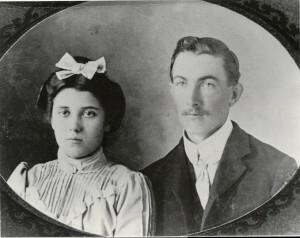 We believe this photo was taken around the time of their wedding in 1903. My great-grandfather Robert Andrew Young was a hard-working, responsible man. He was the only surviving child of Thomas and Ella (Steele) Young; his two younger sisters died in childhood. My dad remembers his Grandpa Young as hard-working and fairly no-nonsense. Once when Dad and his siblings were visiting their Grandpa and Grandma Young in rural Ross County, they came across a big Mason jar filled with some clear liquid tucked in a tree in the woods. This seemed pretty strange to the kids, so they took it back to their Grandpa. As Dad said, there were miles and miles of trees surrounding their house and they had explored all day. How were they to know which tree it was?! Grandpa Young was concerned that the moonshiner would find that his stash was gone and come looking for whoever took it. Since they couldn’t return it, Grandpa Young went out back and without saying a word, poured the whole jar of moonshine on the ground. Recently, Ancestry updated its collection of World War II Draft Registration Cards. (They added Ohio! Yay!) What is online is the 1942 Fourth Registration, often called “The Old Man Registration,” as it included men born on or between 28 April 1877 and 16 February 1897. Robert fits in this category. 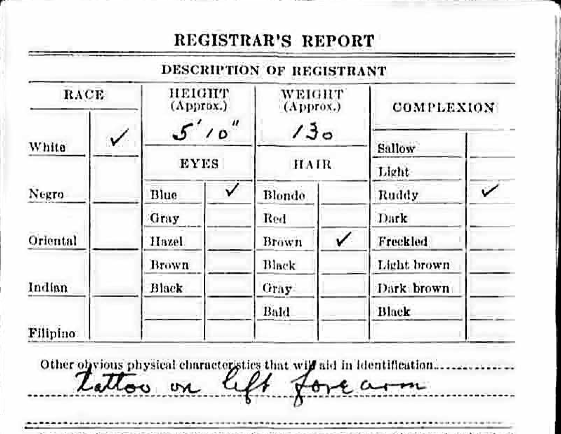 Page 2 of Robert A. Young’s draft registration card. U.S., World War II Draft Registration Cards, 1942, Ancestry.com. Tattoo on left forearm?! Sure, today everyone and their brother (and sister) have ink, but back in the day, that was pretty much reserved to soldiers and sailors. Robert was neither. I called Dad and asked him about his Grandpa Young’s tattoo. Did he remember it? What was it? Never skip a record just because you think you know what it’s going to say. Always go to the next image when you’re looking at digital images. This wonderful little gem of information was on the back of the card. Robert Andrew Young died 8 July 1953 in Newark, Licking County, Ohio. 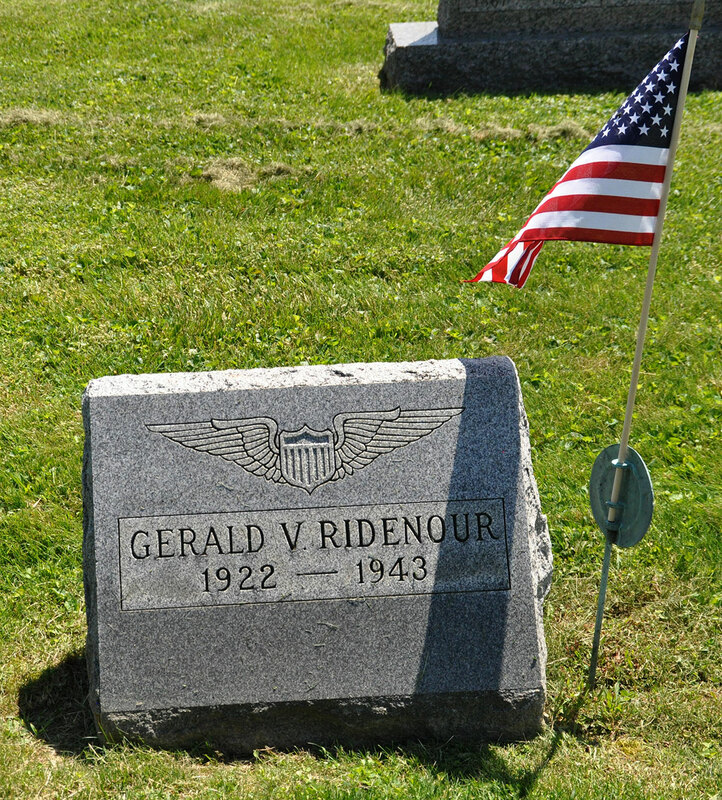 He is buried next to his wife Clara in Wilson Cemetery. 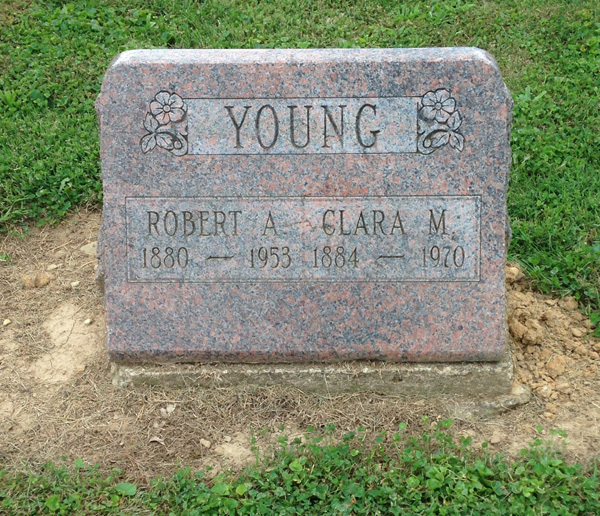 Robert and Clara Young’s grave, Wilson Cemetery, Licking County, Ohio. 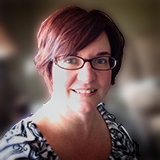 Photo by Amy Crow, 13 September 2014.